President Obama recently "banned the box" for federal government employment applications. Approximately 24 states have some form of "ban the box" legislation. However, a recent study has shown that these laws may result in unintended discrimination against the very minorities it sought to protect. 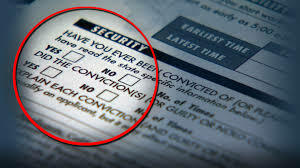 Ban the Box refers to the "box" on an employment application that asks prospective employees whether they have prior criminal convictions. A research paper from the National Bureau of Economic Research looked at how ban-the-box policies have thus far impacted employment. For young, low-skilled black men, their likelihood of employment went down 5.1 percent while the same category of Hispanic men went down 2.9 percent. This type of discrimination happened more in the Northeast, Midwest, and West where black individuals are not the majority. In the South, discrimination was less likely to occur because the applicant pool was largely black. Another study by the University of Michigan Law School found similar results. After submitting fake job applications in New York, which has a ban-the-box law in effect, the results showed discrimination based on race. White applicants received about 7 percent more callbacks than equally qualified black candidates without ban the box. After Ban the Box, the number went up to 45 percent more callbacks. In the National Bureau study, the researchers theorized that employers are less likely to interview low-skilled black men in ban-the-box areas because they are perceived as more likely to include individuals with a criminal history.